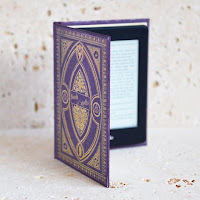 Now a New York Times bestseller, and optioned for film by Reese Witherspoon and her production partner Bruna Papandrea - in conjunction with Lionsgate films. It took me a little while to get into this book but it was certainly worth persevering with; I think this was mainly because Ani felt like such a fake, pretentious character and I didn't like her one little bit. I didn't expect my feelings to change, but I was wrong! Beneath the surface of confident Ani FaNelli lies the desperate to fit in, hilariously named, TifAni FaNelli...who Ani wants to forget ever existed. Something terrible happened in her past that she wants to forget but, now that she is successful and happily engaged, she agrees to take part in a documentary about the incident. This is when the pace of the book increased dramatically as I raced through the pages to find out what had gone on. As Ani's past is gradually revealed my dislike for her diminished and I actually started to feel empathetic towards her character. I am not surprised to learn that this has been snapped up and will be made into a film. There are many heart-stopping moments and genuine moments of terror as the incident is relived; at times I even felt like I was there myself due to the wonderfully descriptive writing of Jessica Knoll. I don't want to reveal any spoilers but all I will say is that I had no idea what 'the incident' could be and I do love a good surprise! 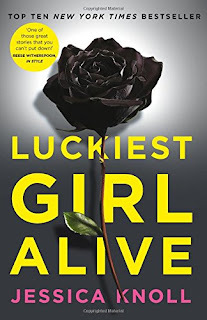 A cross between Gossip Girl and The Devil Wears Prada, and way better than Gone Girl (in my opinion), Luckiest Girl Alive is a compelling page-turner that is so vividly written it was inevitable that it would move from book to big screen. Whether you read the book or not, this is one movie that you won't want to miss! I received this book from the publisher, Pan, in exchange for an honest review.